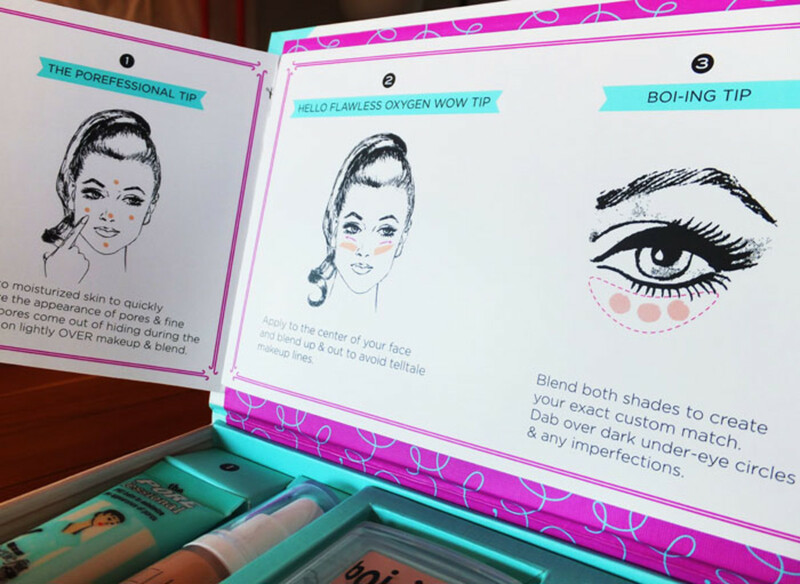 It's back-to-school with Benefit -- can't wait to hit these beauty books. Three new complexion kits, in Light, Medium and Deep, and three new lip-and-cheek kits, too, in co-ordinated Dandelion, Coralista and Sugarbomb colour collections. 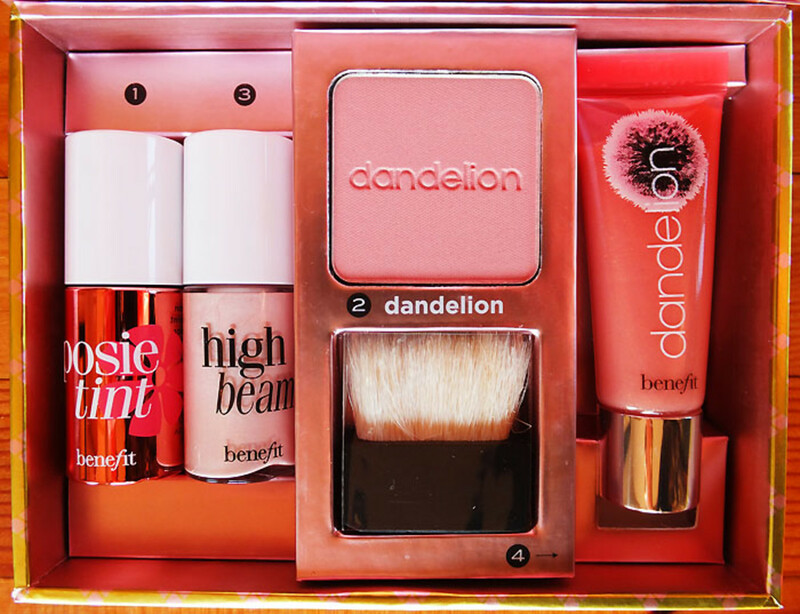 Does anyone do cute-but-capable makeup kits better than Benefit Cosmetics? Bueller? Bueller? Bueller? 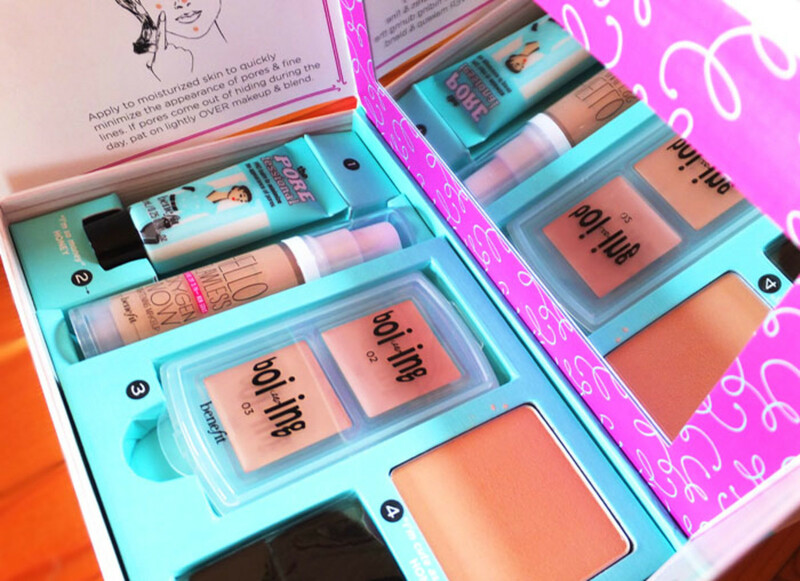 Six adorable new sets -- three for skin (above) and three for lips and cheeks -- are launching exclusively at Sephora in August. 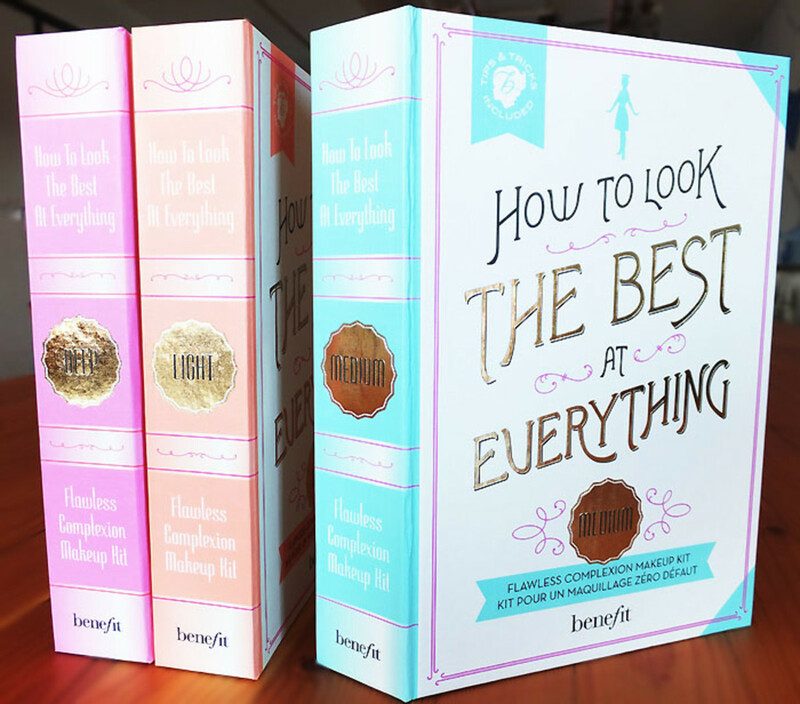 I particularly like this book-smart packaging; it reminds me a bit of Kate Spade&apos;s charming trio of etiquette books. Each How to Look the Best at Everything complexion kit ($36 at Sephora) includes a mini tube of Benefit&apos;s The Porefessional Pore-Minimizing Balm (AKA primer), a mini bottle of the brand&apos;s new Hello Flawless Oxygen Wow Brightening Liquid Foundation, two shades of Boi-ing Concealer for custom blending as needed, Hello Flawless Powder Cover-Up in either a light, medium or deep shade depending on the skintone for which it&apos;s intended, and a generously sized flat powder brush. Each item is arranged in order of application. 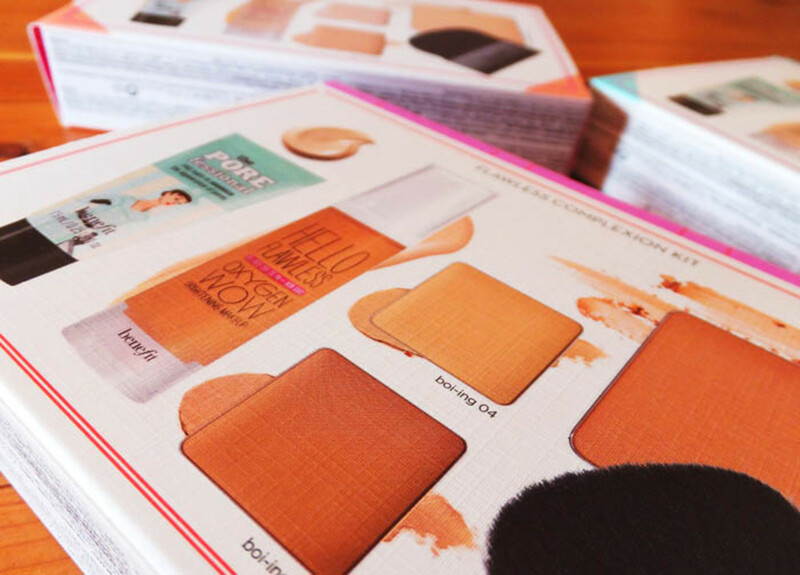 Handy-dandy, well-illustrated instructions are included, as they are with all Benefit&apos;s clever little sets. The how-to fold-out tabs are detachable; behind them is the usual mirror on the lid&apos;s interior. By the way, you can remove the product and cardboard insert and use the box for other fripperies. 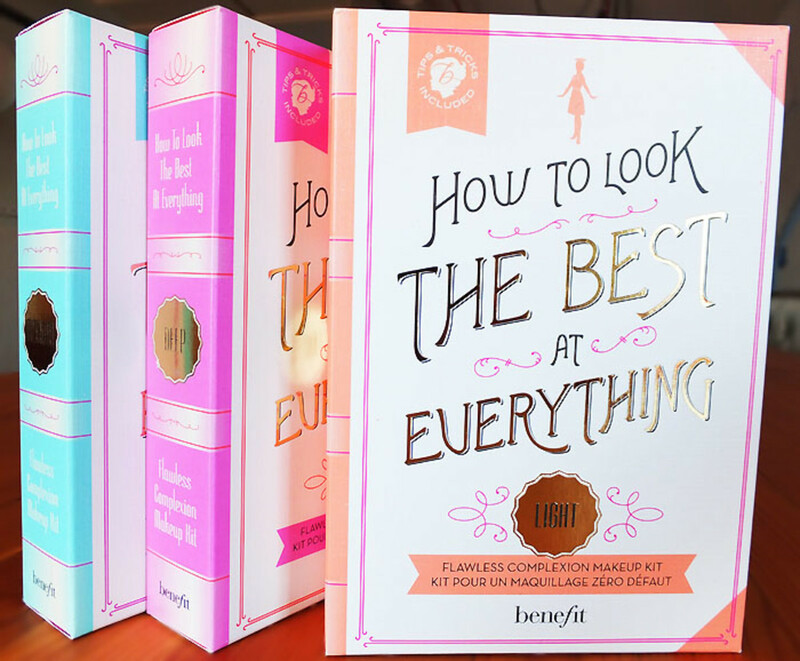 Now for the Benefit multiple-choice test: the three Lip & Cheek Kits ($32 each at Sephora) are harder to choose from than the book-style complexion kits. 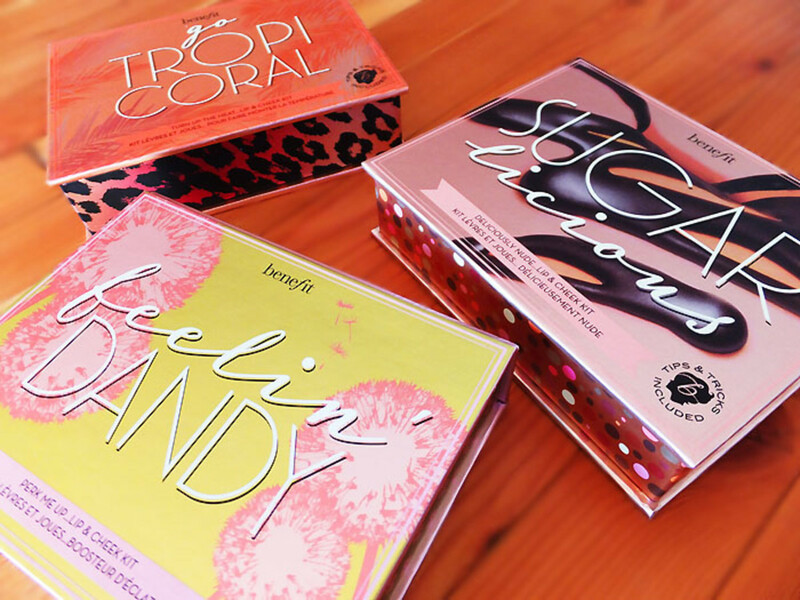 A light-medium-deep selection is possible, but all these shades look pretty on the entire range of Benefit&apos;s skintone demographic (fair to medium/dark). And all include the usual clearly illustrated application-tips booklet. 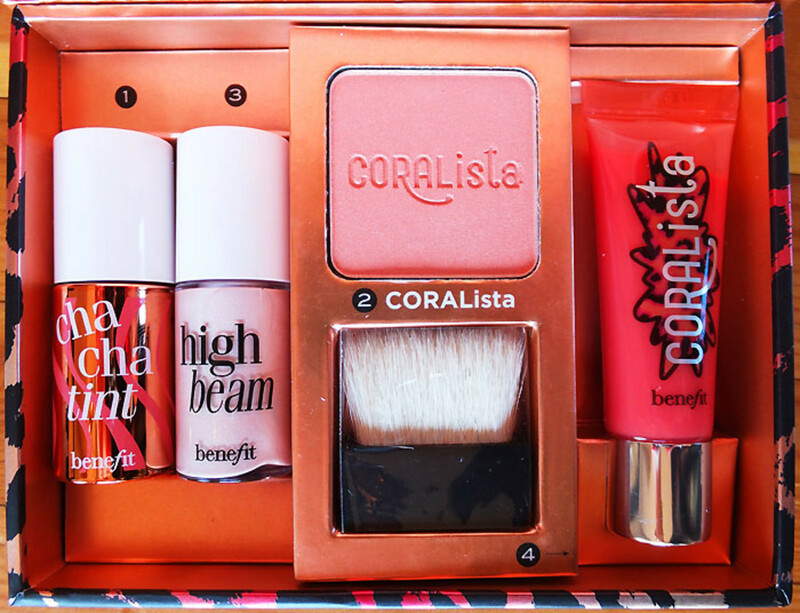 B) Go Tropicoralincludes Chachatint Tinted Lip & Cheek Stain (mango shade), High Beam Luminescent Complexion Enhancer (same champagne pink as the Feelin&apos; Dandy kit), Coralista Face Powder and brush, and Ultra Plush Gloss in Coralista. 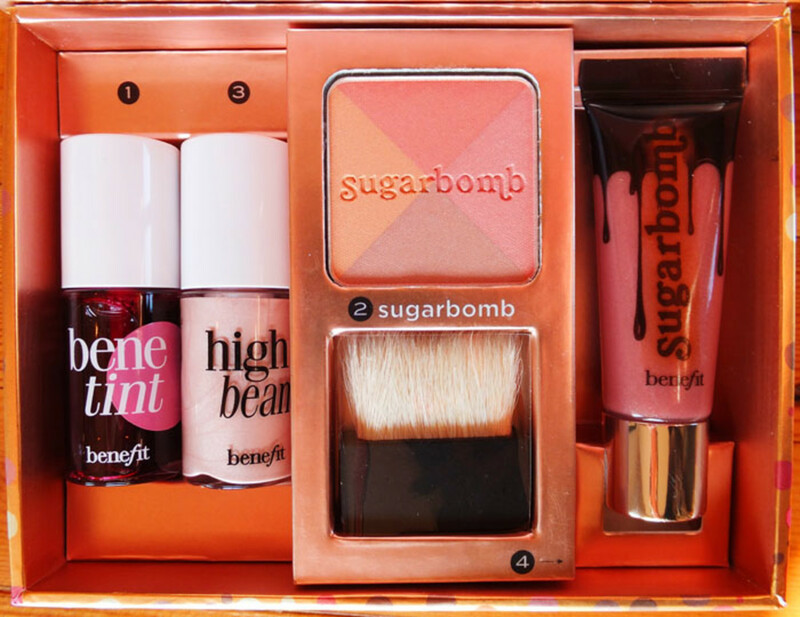 C) Sugarlicious contains Benetint Tinted Lip & Cheek Stain (rose -- this one likes freshly moisturized skin for easy blending), High Beam Luminescent Complexion Enhancer (same shade as the other kits), Sugarbomb Face Powder and brush, and Ultra Plush Gloss in Sugar Bomb. So, what do you think? A, B or C? Staff insists the answer is D -- all of the above. 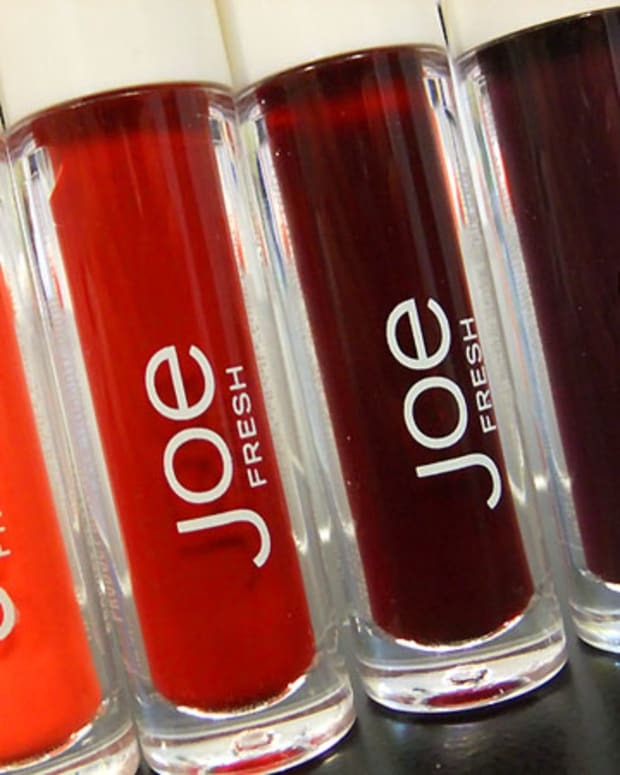 One more time to make sure the lesson sinks in: available exclusively at Sephora.